SAN FRANCISCO, CA--(Marketwired - October 21, 2015) - PRO Unlimited, Inc., a global leader and pioneer in contingent workforce management, is presenting at the SIG Global Executive Summit conference on October 27 at 12:30 PM PT. Neerav Shah, a VP of Client Services at PRO Unlimited, will examine how enterprises are increasingly turning to self-sourced talent pools to help them win the war for talent. "Because the world is ever more global and the business landscape is more competitive than ever, enterprises recognize the importance of sourcing top talent to compete," said Allie Ben-Shlomo, COO and EVP of Client Services at PRO Unlimited. "As the workplace shifted, companies quickly look outside of their organizations for talent. While this is certainly a vital channel, they often forget the rich repository of workers they can tap as part of a self-sourced talent pool. These workers include everyone from former employees and consultants to retirees and internal referrals." In his presentation, Shah will outline the key reasons companies should self-source contingent talent, examine the challenges of self-sourcing talent and self-sourcing trends per industry segment and region, detail a self-sourcing requirements checklist, and recommend a self-sourcing model. Shah will also provide real-world case studies to demonstrate how companies are realizing tangible business results by leveraging self-sourced talent pools. "The business case to expand contingent labor sourcing channels to include self-sourced talent pools is clear cut," said Shah. "For example, the cost of self-sourced talent is typically 15 to 20 percent less than that for workers sourced through a staffing supplier. It is also much faster to self-source talent, and managers who want to eventually convert those workers to full-time employees are not hit with contract-to-hire staffing fees." Procurement and sourcing professionals attending SIG West can schedule time to meet with Shah or other members of the PRO Unlimited team by emailing information@prounlimited.com or calling 1-800-291-1099. For those unable to attend the SIG Global Executive Summit, sign up to join a Webinar featuring Shah and the same topic on December 3 at 11:00 AM PT (2:00 PM ET). About PRO Unlimited: PRO Unlimited, through its purely vendor-neutral and integrated managed service provider (MSP) and vendor management system (VMS) solutions, helps organizations address the costs, risks, and quality issues associated with managing a contingent workforce. A pioneer and innovator in the VMS and MSP space, PRO Unlimited offers solutions for e-procurement and management of contingent labor, 1099/co-employment risk management, and third-party payroll for client-sourced contract talent. 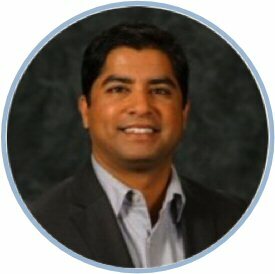 Neerav Shah, a VP of Client Services at PRO Unlimited, is a subject-matter expert on contingent workforce management. Self-sourcing is made easy with Wand YourSource.